Click to download all information as a printable PDF. 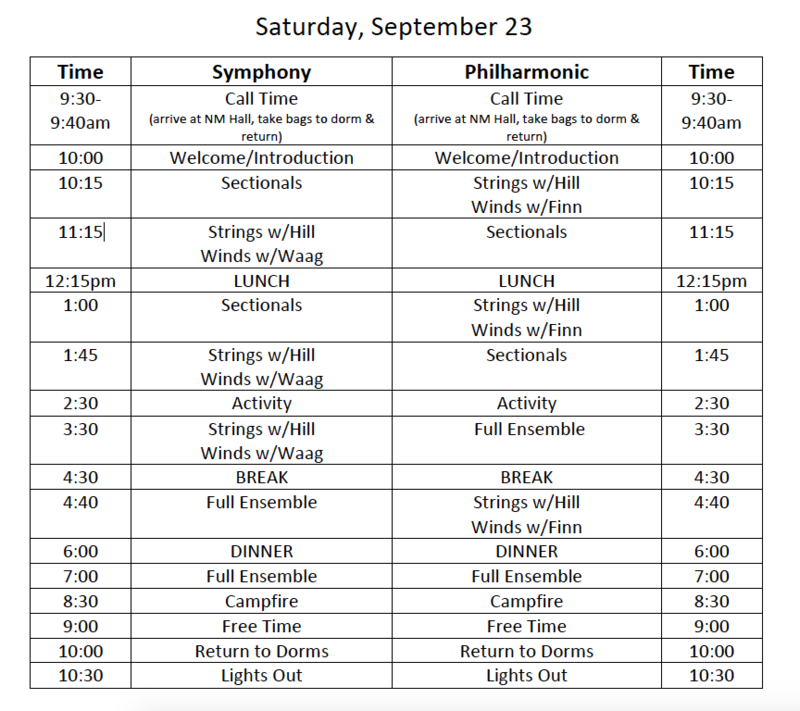 The retreat will be a fun mix of intensive musical work and other fun activities in beautiful Glorieta. YSO and YP musicians will have the opportunity to work in small, medium, and large ensembles with professional musicians and music educators. 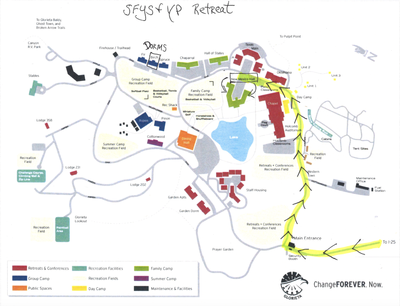 The retreat will conclude with a potluck and casual performance by YSO and YP. Parents are encouraged to come! 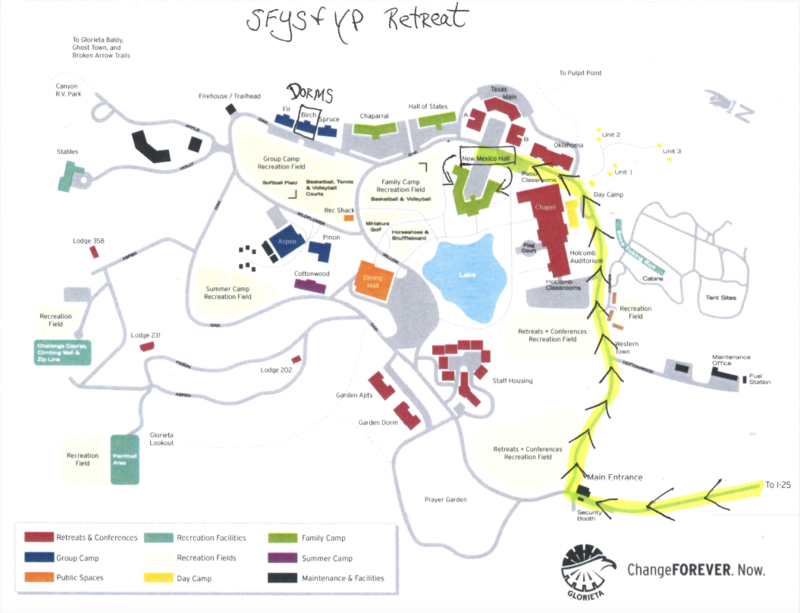 Please see the following break down of all retreat information. -Rain is in the forecast for Glorieta this weekend, as well as possible temperatures in the 30s at night. Please pack appropriately. It’s better to be overly prepared than under-prepared! -The dorms you’ll be staying in have bunk-style beds, but DO NOT have pillows, linens, etc. Make sure you bring any items you’d like for a bed other than a mattress. Kathy Hill is a widely celebrated string educator in New Mexico. Presently she conducts the Albuquerque Youth Orchestra, and she conducted the New Mexico All-State Concert Orchestra in 2016. 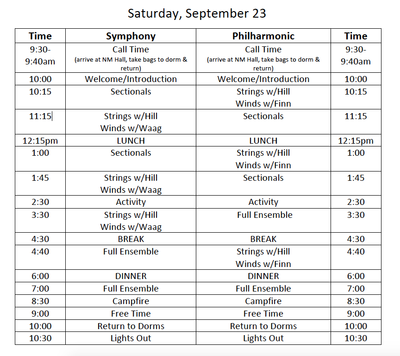 The retreat features an excellent mix of professional symphony musicians and music educators from New Mexico. Saturday’s Lunch, Dinner, and Sunday Breakfast will be at the cafeteria. The camp’s coffee shop will also be open during the break time on Saturday. 1) Call time is 9:30-9:40am. Upon arrival to the Glorieta campus, please head to the New Mexico Hall (see map) to check-in (and get a schedule) and drop their instrument. On Sunday at 12:30pm, YSO & YP will have a potluck and casual performance highlighting some of the work done over the retreat. All families are encouraged to join us. The performance should be done by 1pm(ish), and we appreciate all the help we can get with the tear down process. Please see potluck items below. Press the “key” icon twice, followed by 9876.